Hill is very clear on the importance of specialized knowledge and he gives numerous examples of it in his book. As an example he talks about professors as great sources of specialized knowledge, most of whom don’t use it in an organized manner. Most of them have specialized knowledge but they “only” use it for general purposes, like teaching a big class (maybe the same way they had done for years). Think about your professor in finance who hopefully was outstanding at teaching but did he or she own or run one or several business, were they wealthy (in financial terms)? NO? Then they were probably only a generalist or potentially not a good executor within their field of expertise as they did not use their knowledge in an organized way! Someone who is extremely knowledgeable within their field, as a specialist, have little to no use of most of their expertise it if they don’t use it in a strategic way. Basically they then become a generalist which means they won’t add much value to the world and therefore their efforts will not be greatly rewarded regardless of their dedication. Knowledge is only power when it is specialized and organised! So make sure you set off time every day to learn more from those who know! A Mastermind Group can come handy here but more on that in this post. To create massive value to other people and become invaluable, you need to have some specialized knowledge, that is pretty clear. 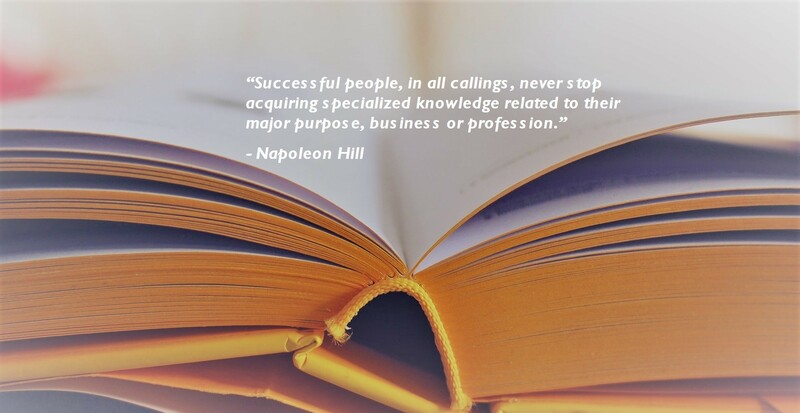 Just think about most of the successful entrepreneurs, most of them have a certain skill over which they are a true master and they NEVER stop learning! Let me take a very simple example. Most people who want to start working for themselves look online to find a side hustle which is a great idea BUT you have to specialize otherwise you will be competing with people all over the world! If I buy a freelance service from upwork.com (say something graphic) I could buy this from any corner of the world and it will cost very little (a few dollars). So if you are from the western world and used to having a salary above 5 USD per hour, maybe you don’t want to compete in that market with people from Africa, Asia etc. They have different costs of living which allows for lower prices but their education and knowledge within graphic design might be as good or even better than yours! How are you going to compete with that? Globalization will just continue growing so you have to make sure you find an area you really enjoy and where you can indulge to become a specialist or at least be a master at organising specialized knowledge! Personally I used to work as a specialist within financial investments (customized and securitized investments linked to any asset in the world and with any type of pay-out you can imagine) and it used to pay me well. Why? When I was working in London covering the Nordic region I guess I was competing with approximately 50 people. Meaning that there were only fifty of us, employed by all the investment banks, covering the Nordic market within this niche. When a market is that small and specialized, competition is fierce to get in and stay in but experience gives you leverage and even if I joined an investment bank in 2006 (just before the financial crisis) I still managed to stay until I decided it was time to move on. Of course lots of factors added up to this decision and most of them, if not all of them, I am sharing on this site in one form or another. What I wanted to say with above is that I know first hand the importance of specialized knowledge and what leverage it can give you IF you use it wisely. Don’t be afraid of being too specialized. Even if your current specialization were to become obsolete, I am sure that your skill set can and will be extremely useful in another area (you might not even have thought about it yet). Cross references and knowledge are even more valuable! To become a specialist, you first have to master the general level and in my case that was basic finance and investments and that’s why I want to share with you what I have learned so that you don’t have to spend a decade learning the same stuff! Learn from someone who already knows and it will save you a massive amount of time and if you don’t want to become a specialist, know how to organize and use specialized knowledge! Learn something new within your field every day! Brainwash yourself – learn from the best in your field for free! Savings & Investments – save a decade and learn it by taking my online sessions on Wealth!